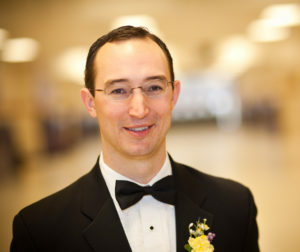 Michael C. Luley has been Director of Bands at Lake Braddock Secondary School since 2011. He directs two high school ensembles, the marching band, and works with the middle school band program teaching percussion ensemble and a seventh grade clarinet class. Previously, Mr. Luley held the position of Associate Director at Lake Braddock for five years under Roy Holder. While the jazz director at Lake Braddock, Mr. Luley’s ensemble performed two times at Blues Alley, in Washington, D.C. and performed on the U.S. – China Friendship tour in Beijing, China in 2010 with trumpet soloist SGM Craig Fraedrich of the U.S. Army Blues. Additionally, Mr. Luley had the opportunity to direct Honor Bands in Mississippi, South Carolina, and West Virginia. Mr. Luley has taken the Lake Braddock Symphonic Band to the BOA National Concert Band Festival in 2015 and the Virginia Music Educator’s Conference in November of 2015. He received the Citation of Excellence from the National Band Association in 2015 as well. Before coming to Lake Braddock, Mr. Luley taught band in North Carolina, Mississippi, and Falls Church, Virginia. He holds the Bachelor of Music Education degree from West Virginia University and the Master of Music Education degree from the University of Southern Mississippi. Mr. Luley is a member of several professional organizations and served as the Virginia State Representative for the National Band Association for five years. Jason Miller Jason Miller is beginning his third year as our Associate Band Director. At the high school level Mr. Miller directs the Marching Band, Concert II, and Jazz Band. In May of 2018 the Lake Braddock Jazz Band, under Mr. Miller’s direction, placed 3rd in finals at he Chantilly Jazz Festival. At the middle school level Mr. Miller directs the Bruin and Select bands. In Addition to the classes at Lake Braddock, Mr. Miller enjoys teaching the Lake Braddock Saxophone Ensemble, assisting with the Northern Virginia Youth Winds, and teaching private saxophone lessons in Loudoun County. Mr. Miller is a graduate of George Mason University where he played in the jazz ensemble and served as principal saxophonist with the GMU Wind Symphony. While at GMU, Mr. Miller performed with many ensembles that Mason had to offer, including The Green Machine, GMU Symphony Orchestra, GMU Symphonic Band, GMU Saxophone Ensemble, GMU Saxophone Quartet, and the GMU Tuba and Euphonium Ensemble. Before coming to Lake Braddock, Mr. Miller taught sectionals and assisted many outstanding bands in Fairfax and Loudoun Counties. Mr. Miller is ready for an exciting year of band, moving into a new home, and marrying his 8th grade sweetheart! Louis C. Bean has taught in the Fairfax County Public Schools for the past 26 years, the last 23 years of which have been at Lake Braddock Secondary School where he currently is the director of the Middle School Band Program. He received his Bachelor of Music Education and Masters of Music from East Carolina University. Mr. Bean and the Lake Braddock Middle School Wind Ensemble have twice been honored by being selected to perform at the Virginia Music Educators Association’s conference (2000 & 2008). Mr. Bean has been awarded four separate “Citations of Excellence” for teaching, as well as being recognized in 2015 by his fellow peers, the Fairfax County Band Director’s Association, as the Secondary School Band Director of the year. In 2001, Mr. Bean and the Lake Braddock Middle School Band Program were selected to receive the prestigious Silver Sudler Cup Award given by the John Philip Sousa Foundation recognizing outstanding Middle School Bands. This honor is awarded to middle school band programs internationally which have maintained a level of the very highest quality of musical performance and organizational distinction. More recently, Mr. Bean has been the Co-Chair of the John Philip Sousa Sudler Cup Selection Committee. Mr. Bean is a member of the Music Educators National Conference, Virginia Music Educators Association, the Fairfax County Band Directors Association, Pi Kappa Lambda Honorary Music Fraternity and Phi Beta Mu Professional Music fraternity. He ontinues to be involved in adjudicating band festivals and participating as a guest clinician/conductor throughout Virginia, Georgia, Tennessee, Maryland and North Carolina. Kelly McMillan is the Color Guard Director. Ms. McMillan is an alumna of the Lake Braddock Marching Band and is excited to be involved with this award-winning program as the Color Guard Director. She is a former captain and four-year member of the LBCG under the direction of Roy Holder. She has an extensive background in the performing arts and musical theatre as a singer and dancer. She holds a Bachelor of Science degree in English Education from East Carolina University, where she was also part of the music program, and a Master’s degree in Educational Psychology from the University of Virginia. She’s been a member of the English department faculty at LBSS for over a decade, with a primary focus on English 9 and Honors instruction. * Click on Director’s name above to send email.